Outdoor Activities Are Always Fun! ...unless you own Hihiker's hooded mummy bag! It Feels Like You're Sleeping in Your Bed! Our heavy duty mummy bag comes with a travel pillow that will support your head and neck when you sleep outdoors. The comfortable travel pillow is packable and unbelievably lightweight, so you won't have trouble carrying it around. 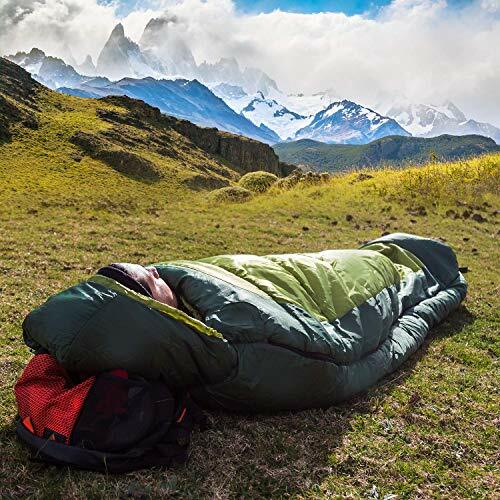 Thanks to its portable folding design and durable, lightweight materials, this hooded sleeping bag is very easy to carry around during your travels and outdoor activities. Hihiker's hooded mummy bag set is backed up with an unconditional lifetime warranty, so you can easily replace it with a new one anytime, if it turns out to be defective. OUTDOOR LOVERS, THIS ONE'S FOR YOU! Are you an outdoorsy person? 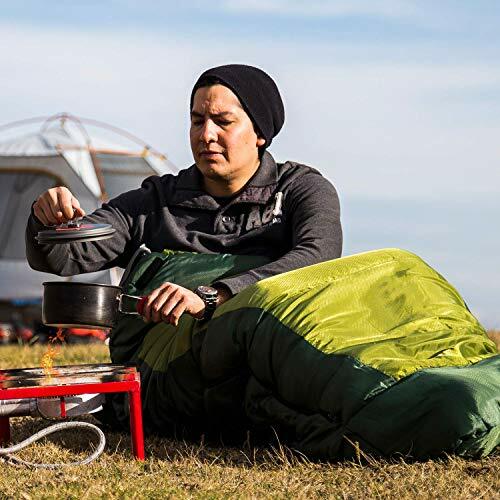 Do you enjoy camping, backpacking and traveling? Hihiker is here for you, to make your outdoor adventures more pleasant and more comfortable! 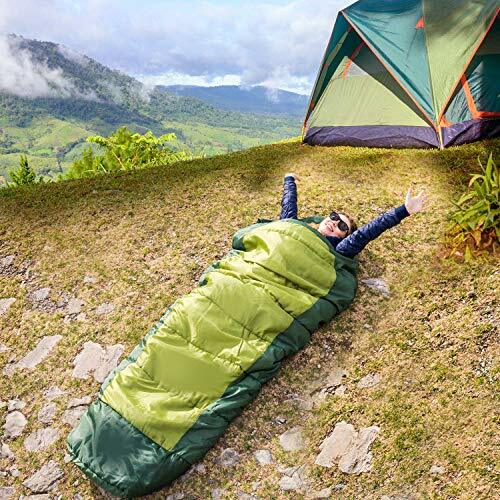 Our outdoor set includes a mummy style sleeping bag, a carrying storage bag and a soft travel pillow that you can take with you when you set off on an adventure. 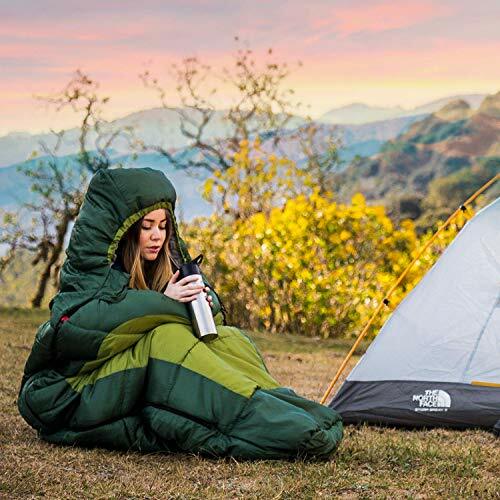 STAY WARM AND COZY DURING THE NIGHT: Thanks to our innovative heat retention technology, quilted construction and insulated footbox, this fluffy mummy sleeping bag will keep you warm and cozy in temperatures as low as 20 degrees Fahrenheit. The adult mummy bag also has a drawstring hood that keeps the warm air in and the cold air out and away from your head and neck. ENJOY THE MOST COMFORTABLE SLEEP: Your head needs support when you sleep, that's why we have included a soft travel pillow in the camping mummy bag set. This pillow allows you to sleep on the ground and feel as if you're lying in your bed. Thanks to its lightweight and packable design, the travel pillow is very easy to carry around when you travel or hike. 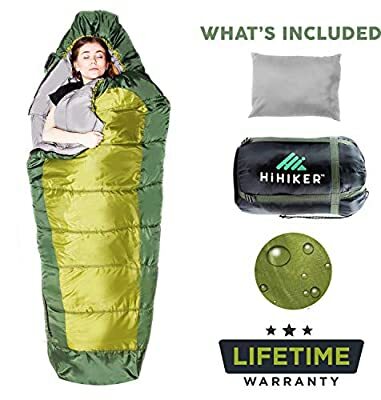 SUPER EASY TO CARRY AROUND: The Hihiker camping sleeping bag is large enough to fit a 6.2-inch-tall adult, however, once you fold it and store it in its durable compression bag, it is very compact and easy to carry around. 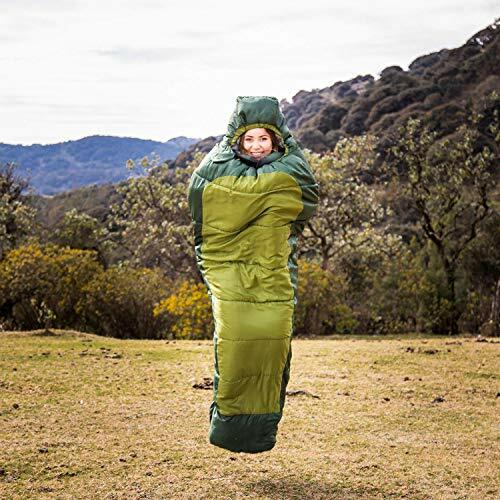 In addition, the hooded mummy sleeping bag and its portable bag are very lightweight, so they won't be a burden to carry while you travel, hike or backpack. LET'S NOT FORGET ABOUT OUR LIFETIME WARRANTY: Hihiker's outdoor mummy bag set is under a lifetime warranty against defects. This unconditional manufacturer's warranty ensures your complete and utter satisfaction. If for any reason you're unhappy with your new mummy bedroll, the carrying bag and the travel cushion, let us know and we will replace them with new ones.